When Harvard-trained sociologist Peter Moskos left the classroom to become a cop in Baltimores Eastern District, he was thrust deep into police culture and the ways of the street--the nerve-rattling patrols, the thriving drug corners, and a world of poverty and violence that outsiders never see. 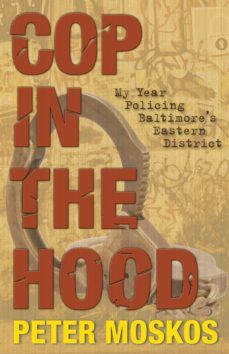 In Cop in the Hood, Moskos reveals the truths he learned on the midnight shift. Through Moskoss eyes, we see police academy graduates unprepared for the realities of the street, success measured by number of arrests, and the ultimate failure of the war on drugs. In addition to telling an explosive insiders story of what it is really like to be a police officer, he makes a passionate argument for drug legalization as the only realistic way to end drug violence--and let cops once again protect and serve. In a new afterword, Moskos describes the many benefits of foot patrol--or, as he calls it, "policing green."